Leaked Democratic Party Emails Show Members Tried To Undercut Sanders : The Two-Way Just days before the Democratic National Committee convention gets underway, WikiLeaks releases almost 20,000 emails among DNC staff, revealing discussions of topics from Bernie Sanders to the media. Sen. Bernie Sanders featured heavily in the hacked Democratic National Committee emails released by WikiLeaks Friday. With just one weekend to go before Hillary Clinton is expected to accept her party's nomination for president, WikiLeaks on Friday released almost 20,000 emails sent and received by Democratic National Committee staff members from January 2015 to May 2016 – leaving journalists scouring for information potentially damaging to the party. WikiLeaks officials say the emails come from the accounts of "seven key figures in the DNC," among them Communications Director Luis Miranda (10,770 emails), National Finance Director Jordon Kaplan (3,797 emails) and Finance Chief of Staff Scott Comer. The leak, released via Twitter, links to a Web page that allows readers to search the DNC email database. WikiLeaks says the release was "part one of our new Hillary Leaks series," a hint of more information to come. The emails include communication with journalists and discussions about the news media and incentives provided to party donors who'll be attending next week's Democratic convention, as well as details about their backgrounds, including, in some cases, criminal histories. Many of the emails discussed how to undermine Clinton's rival Vermont Sen. Bernie Sanders and overall revealed some negativity toward him. There were also emails about when the Sanders campaign improperly accessed Clinton campaign's proprietary voter information that was housed at the DNC. "The emails show that after the furor over the voter records was resolved, hostility simmered from top DNC officials over the Sanders campaign. 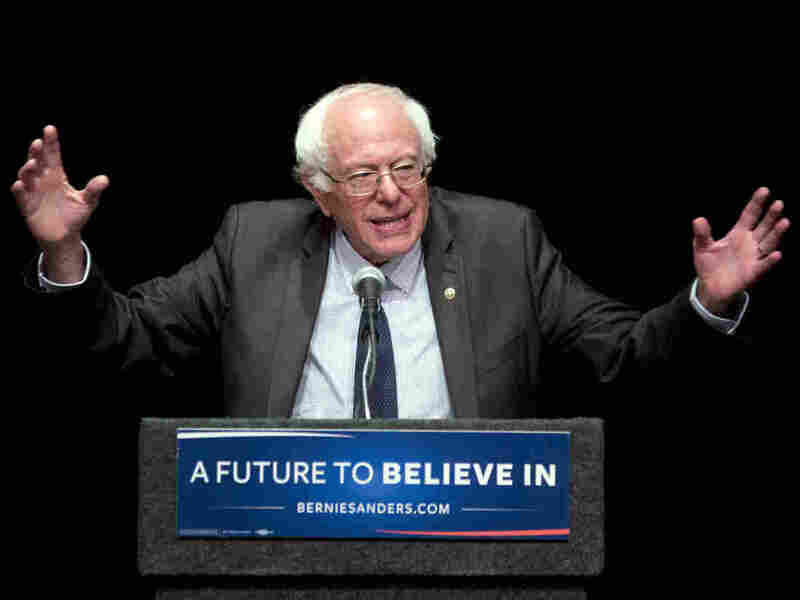 'Wondering if there's a good Bernie narrative for a story, which is that Bernie never had his act together, that his campaign was a mess,' Paustenbach wrote. Miranda spurned the idea, although he agreed with Paustenbach's take: 'True, but the Chair has been advised not to engage. So we'll have to leave it alone.' "
In response to the leaks, Sanders campaign manager Jeff Weaver said Saturday that the emails show "what many of us have known for some time, that there were certainly people at the DNC who were actively helping the Clinton effort and trying to hurt Bernie Sanders' campaign." Republican presidential nominee Donald Trump tweeted Friday, "The Wikileaks e-mail release today was so bad to Sanders that it will make it impossible for him to support her, unless he is a fraud!" Meantime, DNC Chairwoman Debbie Wasserman Schultz says the breach was a "serious incident" and a private contractor has been hired to sweep the organization's network had "moved as quickly as possible to kick out the intruders and secure our network."